A thief helped himself to five joints of beef when his benefits were changed and he was left with no cash, a court heard. Drug addict Simon Barras reverted back to his old ways and went out stealing at Marks and Spencer, Burnley magistrates were told. Keith Rennison, defending, told the hearing Barras's benefits had been changed from employment and support allowance to universal credit. The solicitor continued: "That left a six week lacuna when he was not in receipt of any benefits. That left him in a position where he was struggling and went back to his old habits." Mr Rennison said the 44-year-old defendant was on a drugs rehabilitation requirement and was engaging with the probation service. He went on: "They believe they can continue to work with him." The defendant, of Forest Street, Burnley, admitted theft to the value of £125, on March 18th. 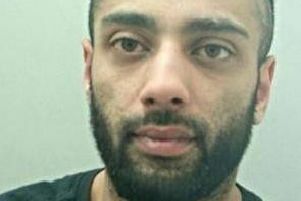 He was given a 12-month conditional discharge and must pay a £20 victim surcharge.